Death of game theory pioneer ends a genius’s dramatic story. His mind was beautiful, but troubled. His math was just beautiful. 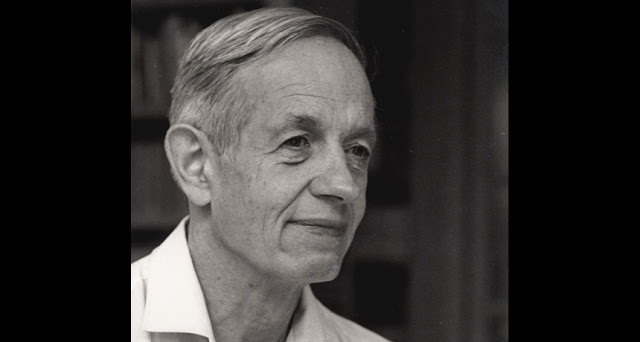 John Forbes Nash Jr., who died in a traffic accident on May 23, gained more fame than most mathematicians, though not only on account of his math. His battle with schizophrenia, described artfully by Sylvia Nasar in her book A Beautiful Mind, made for drama suitable for a movie. Russell Crowe played Nash in the 2001 film, which garbled the math but made the point that despite his affliction, Nash accomplished works of genius — particularly in the theory of games. At Princeton, Nash revolutionized economic theory, showing how the freshly developed game theory of the great John von Neumann and Oskar Morgenstern could be made more relevant to real life. In their book, Theory of Games and Economic Behavior, von Neumann and Morgenstern had attempted to derive a mathematics of strategy. They showed how participants in an economy could choose the most profitable behaviors. Von Neumann, one of the foremost mathematicians of his time, and Morgenstern, an economist, realized that their math could be applied to human behavior more broadly, evaluating strategic choices in realms from poker to warfare. But the original theory offered rigorous solutions only for two-person games where the winner won what the loser lost (hence the label “zero-sum” game). Nash extended game theory both to cooperative situations (where win-win scenarios were possible) and to competitive games with multiple players. In such situations, “equilibrium” means that as long as everybody else maintains the same strategy, anybody changing strategies would suffer a worse outcome. So equilibrium describes a stable situation, in which nobody has any incentive to change strategies. One of the deepest insights stemming from game theory is the notion that rarely is it wise to stick to a single strategy. In any but the simplest situations, Nash equilibrium is achieved only when players pursue a “mixed strategy.” In other words, a behavior is chosen from a probability distribution — a mix — of different specific strategies. In poker, for instance, a smart player with a losing hand sometimes bluffs and sometimes folds; game theory’s probability distribution tells you what percentage of the time to choose each strategy. This concept of mixed strategies explains all sorts of things about the natural world, from why ecosystems contain so many different species to why some people are cooperators while others are selfish. Nash made other significant contributions to mathematics in the 1950s, but the dark specter of schizophrenia removed his mind from active engagement in the intellectual world for decades. But eventually his symptoms subsided. And then he was awarded the economics Nobel Prize in 1994, leading to the recognition of his work in both the book and movie A Beautiful Mind. My own book on game theory emphasized the intellectual fallout from Nash’s math in fields other than economics. His methods were adopted, or adapted, in fields ranging from international diplomacy to evolutionary biology. Today it is widely acknowledged that game theory provides a common mathematical language for analyzing research across the entire spectrum of the social sciences. Game theory provides a method for quantifying human behavior, even though humans don’t always behave in the way a naïve application of game theory would suggest. Game theory’s reach has extended beyond social sciences and biology. The probabilities involved in computing mixed game theory strategies are similar to those in other fields, such as statistical physics, information theory and even quantum mechanics, in the form of quantum game theory. Nash, in fact, derived his notion of equilibrium in the first place from an analogy to physical science. When he studied chemistry, he encountered the law of mass action, the math describing how chemical reactions reach equilibrium. It’s a purely physical process of course, governed by the laws of thermodynamics, which drive natural systems to a state of energetic stability. Nash showed how a thoroughly analogous process, governed by the math of game theory, can drive economic or other social systems to a state of stability. As I wrote recently, there are indications that game theory could prove useful in solving mysteries ranging from how to cure cancer to the origin of life. Perhaps game theory generally, and the Nash equilibrium in particular, captures something about relationships in the world that goes deeper than mere analogy. If so, that would be beautiful.